Many studies invoke the concept of the Bourdieusian habitus to account for a plethora of stratified patterns uncovered by conventional social-scientific methods. However, as a stratum-specific, embodied and largely non-declarative set of dispositions, the role of the habitus in those stratified patterns is typically not adequately scrutinised empirically. Instead, the habitus is often attributed theoretically to an empirically established link between stratification indicators and an outcome of interest. In this research note, we argue that combining conventional methods in stratification research with latency-based measures such as the Implicit Association Test (IAT) enables better measurement of the habitus. 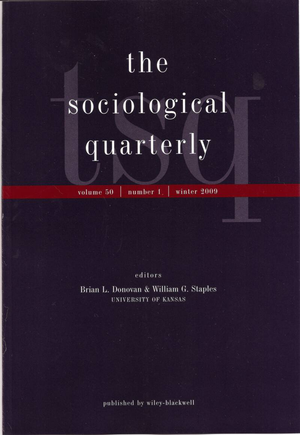 This sociological application of IATs enables researchers to: 1) identify empirically the existence of different habitus among different social strata; and 2) determine their role in the stratified patterns to which they have thus far been attributed theoretically. Euroscepticism among Dutch Leftist and Rightist Populist Constituencies: How Can the U-curve be Understood? The U‐curve in euroscepticism is well established: both leftist and rightist populist constituencies are more eurosceptic than voters for establishment parties. Using rich survey data on a country with both constituencies represented in parliament (the Netherlands; n=1,296), we examine why euroscepticism drives populist voting. Our analyses demonstrate that euroscepticism is part of the well‐established link between both 1) distrust in politics and politicians, and 2) support for protectionism on the one hand, and voting for both types of populist party on the other. It is also part of the well‐known relationship between 3) ethnocentrism and rightist populist voting. Surprisingly, euroscepticism is not part of the typical association between economic egalitarianism and voting for a leftist populist party. The concluding section discusses the implications of our findings and provides suggestions for further research. Local conditions shape voting behavior. Extant research has primarily scrutinized one specific relationship: the association between the share of ethnic minorities in a local context and voting for right-wing populist or anti-immigration parties. The electoral relevance of neighborhood disorder, another potentially salient local factor, has been unexplored, even though this social problem has received much attention in the field of criminology. We therefore assess whether neighborhood disorder underlies support for law-and-order parties. In so doing, we incorporate insights from the literature on cultural framing and theorize that the electoral relevance of neighborhood disorder is not the same for everyone, because different individuals may have different interpretations of the same local conditions. We thus hypothesize that neighborhood disorder more strongly inspires law-and-order voting among residents with an authoritarian disposition, that is, an aversion to diversity and difference and an inclination toward social conformity. Multilevel logistic regression analyses of nationally representative Dutch data (1678 Dutch natives in 180 neighborhoods) corroborate this hypothesis: while we find no overall effect of neighborhood disorder on law-and-order voting, there is evidence of a strong positive effect among residents with a very authoritarian disposition. We discuss the relevance of these results and provide suggestions for further research. Leftist and rightist populist parties in Western Europe both oppose trade openness. Is support for economic protectionism also relevant for their electorates? We assess this in the Netherlands, where both types of populist parties have seats in parliament. Analyses of representative survey data (n = 1,296) demonstrate that support for protectionism drives voting for such parties, as do the well-established determinants of political distrust (both populist constituencies), economic egalitarianism (leftist populist constituency) and ethnocentrism (rightist populist constituency). Surprisingly, support for protectionism does not mediate the relationship between economic egalitarianism and voting for left-wing populists, or the link between political distrust and voting for either left-wing or right-wing populist parties. In contrast, support for protectionism partly mediates the association between ethnocentrism and voting for right-wing populists. We discuss the largely independent role of protectionism in populist voting in relation to the cultural cleavage in politics and electoral competition, and also provide suggestions for future research. Social Mobility and Political Distrust: Cults of Gratitude and Resentment? We study whether and how intergenerational social mobility affects political distrust. Mobile individuals may blame/praise the political system for their movement down/up the social ladder. Accordingly, we theorize how social mobility influences the way people evaluate the political system. We use Dutch survey data and apply diagonal reference models to study effects of intergenerational educational mobility. We find that—controlling for the influence of social positions of origin and destination—downward social mobility results in higher levels of distrust. This suggests that the downwardly mobile perceive their demise from a ‘blame the system’ perspective, while the upwardly mobile perceive their success from a meritocratic perspective. Presumably because upwardly and downwardly mobile individuals rely on a different narrative to frame their experience of mobility, only downward mobility has an impact on attitudes towards politics. 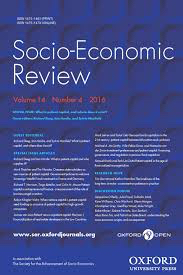 As our results demonstrate political consequences of social mobility, they highlight that there is a need to include socialization experiences outside the political domain that take place after early childhood into the theoretical framework to explain political trust. 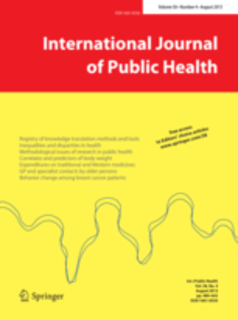 Various studies on the health consequences of socio-economic position address social mobility. They aim to uncover whether health outcomes are affected by: (1) social mobility, besides, (2) social origin, and (3) social destination. Conventional methods do not, however, estimate these three effects separately, which may produce invalid conclusions. We highlight that diagonal reference models (DRMs) overcome this problem, which we illustrate by focusing on overweight/obesity (OWOB). Using conventional methods (logistic-regression analyses with dummy variables) and DRMs, we examine the effects of intergenerational educational mobility on OWOB (BMI ≥ 25 kg/m2) using survey data representative of the Dutch population aged 18–45 (1569 males, 1771 females). Conventional methods suggest that mobility effects on OWOB are present. Analyses with DRMs, however, indicate that no such effects exist. Conventional analyses of the health consequences of social mobility may produce invalid results. We, therefore, recommend the use of DRMs. DRMs also validly estimate the health consequences of other types of social mobility (e.g. intra- and intergenerational occupational and income mobility) and status inconsistency (e.g. in educational or occupational attainment between partners). There is a lively ongoing debate about the effects of the widespread introduction of robots in work environments. Many people in the labor market worry about inequality and possible job loss that robot technology may create. However, large-scale studies on the determinants of these perceptions are thus far lacking. This article assesses which members of the labor force are most fearful of the introduction of robots at work by using the 2012 Eurobarometer Public Attitudes towards Robots dataset, covering 11 206 respondents in 20 European countries. Our study shows that those (a) in economic positions that are more likely to be negatively affected by robotics are more likely to be fearful of robots at work, along with, to some extent, those living in countries (b) with adverse economic conditions and (c) where employees are less protected from market forces. The theoretical and practical implications of these findings are discussed. The positive relationship between religiosity and life satisfaction is well-established. This relationship is, however, likely to vary across cultural contexts and different religious affiliations. Furthermore, research is needed to uncover why religion is relevant for life satisfaction. 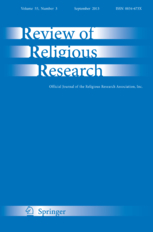 Addressing these issues, we investigate what dimensions of being religious play a role in the life satisfaction of individuals with different religious affiliations, including the understudied Muslim category, in the highly secularized Dutch context. We examine ‘believing’, which captures how religion provides meaning and a coherent worldview, and ‘belonging’, which comprises both cultural benefits of being embedded in a congregation with a shared framework of meaning and structural benefits due to more social ties. 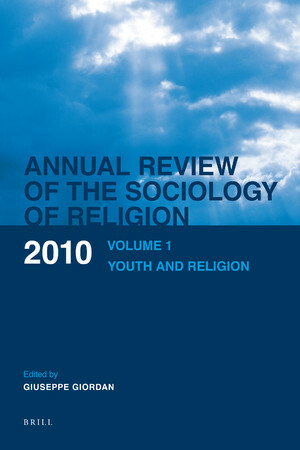 Analyses of the NEtherlands Longitudinal Lifecourse Study (n = 5312) first indicate that Muslims display significantly lower life satisfaction than the non-religious, which appears to be due to their underprivileged social position rather than intra-religious factors of believing and belonging. Second, we find that Catholics experience significant life satisfaction benefits compared to those who are not religious, and that only belonging plays a role in this association. 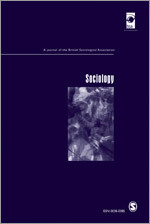 Next to the beneficial effect of the structural aspect of belonging, which revolves around social ties, a cultural aspect of religious belonging appears to be salient, suggesting that an important life satisfaction advantage of religious communities lies in their ability to foster a sense of solidarity and commitment through a shared framework of meaning. We make several recommendations for further research based on these findings. Political scientists generally agree that all individuals structure their cultural attitudes in the same unidimensional fashion. However, various populist radical right parties remarkably combine moral progressiveness with conservatism regarding immigration-related issues. This suggests that the structuring of cultural attitudes among the electorate may also be more complex than typically assumed. Applying Correlational Class Analysis to representative survey data, the study uncovers three cultural belief systems. For individuals adhering to an integrated one, all cultural attitudes are interdependent, as typically assumed. However, two alternative belief systems are also uncovered: intermediate and partitioned. In the latter, positions on one cultural attitude (e.g. ethnocentrism) are barely related to positions on others (e.g. rejecting Islam or opposing homosexuality). 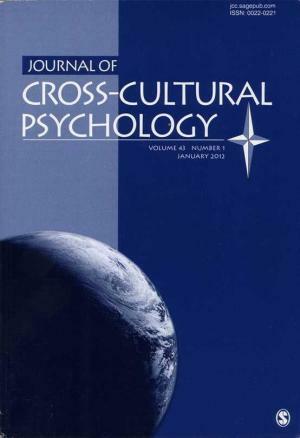 The existence of multiple cultural belief systems challenges the widely held assumption that all people organise their cultural attitudes similarly. Both political party agendas and individuals’ education level and religion appear key to understanding variation in belief systems. Analyzing nationally representative survey data collected in the United States in 2014 (n = 1,932), we formulate and test a novel explanation for the educational gradient in depressive symptoms. We theorize that status as cultural capital drives this gradient in addition to well-established economic and social factors, via the feelings of cultural entitlement it inspires. Therefore, we use structural equation modeling to decompose the education effect. We demonstrate that in addition to economic (job security and income) and social factors (embeddedness in the neighborhood), cultural capital indeed accounts for the educational gradient in depressive symptoms via cultural entitlement. We conclude that for understanding social gradients in mental health it is vital to be sensitive for the cultural mechanisms that status as cultural capital can inspire. Based on our findings we propose suggestions for further research. Following up on suggestions that attitudes toward science are multi-dimensional, we analyze nationally representative survey data collected in the United States in 2014 (N = 2006), and demonstrate the existence of a science confidence gap: some people place great trust in scientific methods and principles, but simultaneously distrust scientific institutions. This science confidence gap is strongly associated with level of education: it is larger among the less educated than among the more educated. We investigate explanations for these educational differences. Whereas hypotheses deduced from reflexive-modernization theory do not pass the test, those derived from theorizing on the role of anomie are corroborated. The less educated are more anomic (they have more modernity-induced cultural discontents), which not only underlies their distrust in scientific institutions, but also fuels their trust in scientific methods and principles. This explains why this science confidence gap is most pronounced among the less educated. Popular political discontent has become increasingly salient in western countries in recent decades, as can be witnessed by the rise of populist anti-establishment parties, nonvoting and increasing distrust in politics. However, these phenomena have predominantly been treated as ‘democracy’s deviants’, neglecting the perspectives of the people concerned. Taking an inductive approach, this article examines how ordinary citizens come to turn away from established politics. Drawing on in-depth interviews with politically discontented Dutch nonvoters and PVV voters, the article develops a three-stage ‘anti-establishment career’ – ‘introduction’, ‘validation’ and ‘consolidation’ – through which their conceptions of politics gradually change. This deviant career model takes into account the dynamics and agency involved in the process, in contrast to conceptions of discontented citizens as utterly passive and anomic. The article concludes by arguing for more cultural-sociological sensitivity in the use of concepts referring to social-political action. The well-documented opposition to trade openness among the less educated is frequently interpreted in terms of the factor endowment model, suggesting that it is the insecure economic position of the less educated that underlies their disapproval. This theory is, however, contested. Consequently, we have developed two alternative explanations, dereification theory and political-knowledge theory, which are informed by the literature on economic globalisation and the broader literature in cultural and political sociology and political science. We test these three theories by analysing Dutch survey data (N = 1302). 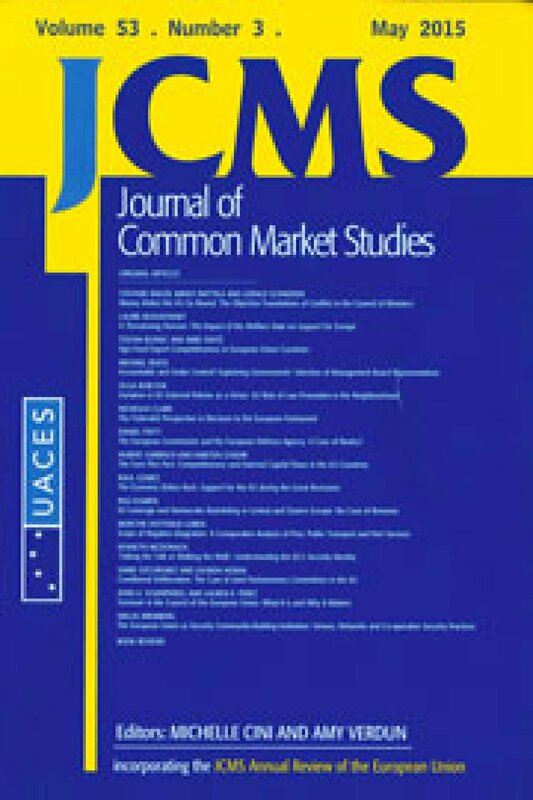 We reveal that higher levels of opposition to trade openness among the less educated can, in order of salience, be attributed to: (1) their lower levels of cultural capital (in line with dereification theory), (2) their lower incomes (in line with economic-insecurity theory), and (3) their lower levels of political knowledge. 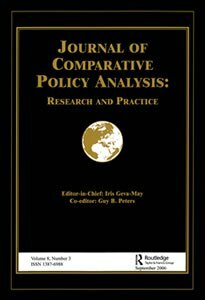 We discuss the broader implications of our findings, including the relevance of cultural capital and dereification theory for understanding various types of cultural conservatism among the less educated, and we provide suggestions for further research into opposition to trade openness among specific segments of higher social strata. Although studies on ethnicity-of-interviewer effects demonstrate that the interviewer’s ethnic background influences respondents’ answers, they often do not take the multifaceted nature and context-dependency of ethnic identifications into account. We aim to contribute to the literature in two respects. First, we discern two aspects of ethnic identification—defining oneself as beingethnic and expressing feelings of belonging to ethnic groups—of which the latter is expected to be more sensitive to interviewer effects. 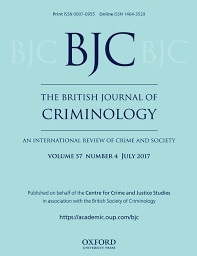 Second, we compare three, instead of two, interview situations—being interviewed by (a) a majority member, (b) a co-ethnic, and (c) a non-co-ethnic minority member—as to empirically scrutinize the scope of interviewer effects while disentangling whether they are cross-ethnically accommodating (respondents stress their similarities with the non-co-ethnic interviewer) or ethnically affirming (respondents emphasize their own ethnic identity). Our hypotheses are tested on a sample of 225 Surinamese, Turkish, and Moroccan immigrants in the Netherlands. As expected, no interviewer effects occur regarding being ethnic. Regarding feeling ethnic, however, respondents’ identifications in the interviewer situation with a majority member vis-à-vis those in both other situations reveal an accommodating interviewer effect. While it is widely acknowledged that politics and politicians have fallen from grace among large parts of the public in western democracies, it is less clear what the latter's political discontents are about. To find out, we performed an interpretative content analysis of the letters to the editor of the largest popular Dutch newspaper in the 2000s (2000–2009). It yielded three empirically grounded discourses of political discontents about ‘the state’—shorthand for the government, its agencies, officials, judges, politicians and political parties—‘the incompetent state’, ‘the alienated state’ and ‘the corrupted state’. The relevance of these findings is subsequently discussed in the light of research on political distrust and contemporary populism. 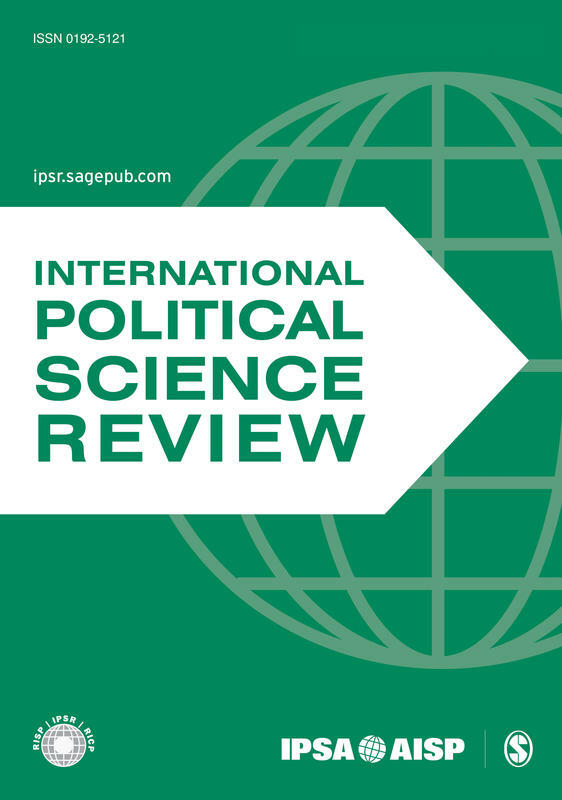 Whereas electoral support for new-rightist parties is often understood as driven by ethnocentric anti-immigrant sentiments, scholars have noted that new-rightist politicians have, surprisingly, stressed culturally progressive arguments in the last decade. Using recent Dutch survey data (N = 1,302) especially collected for this purpose, the article analyses the electoral relevance of three types of cultural progressiveness for voting for the new right and their relation to the well-documented anti-immigrant agenda. The analysis shows that neither moral progressiveness nor aversion to public interference of religious orthodoxy underlies the new-rightist vote. Support for freedom of speech proves relevant, but, in accordance with literature on the new right’s electoral strategy and with theorising on framing, this only leads towards the new right among those who are ethnocentric. These findings are discussed in the light of electoral competition, and questions for further research are formulated. Previous studies on the advanced economies have shown that unemployment levels of the less-educated are low in cities with high employment shares in the advanced producer services. Scholars have consistently interpreted this finding according to Sassen’s polarisation thesis. This article confronts this production-based interpretation with a competing consumption-based explanation, which focuses on the role of cultural amenities. Analysing data on 22 Dutch metropolitan agglomerations between 1996 and 2008, it is shown that, in line with consumerists notions of Richard Florida, advanced producer services settle in cities that are rich in cultural amenities, instead of the other way around as classical labour-follows-capital explanations imply. Yet, only advanced producer services prove to reduce the unemployment levels of the less-educated, meaning that the polarisation thesis, and not the theory on cultural amenities, is a valid explanation for the low level of unemployment in post-industrial cities. Previous studies have linked anti-immigrant voting and other indications of ethnic animosities to ethnic segregation, yielding different results. 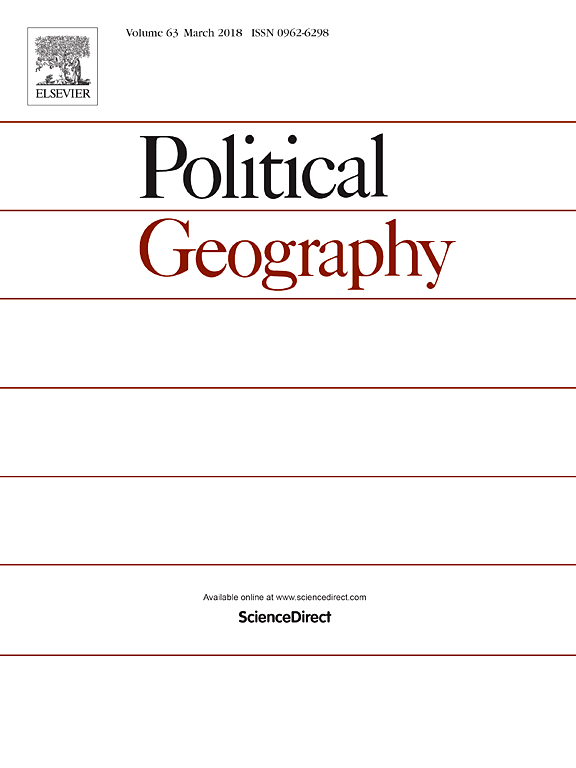 In this study, we focus on the locally strongly diverging support for Geert Wilders’s Party for Freedom (Partij voor de Vrijheid [PVV]) in the Dutch national parliamentary elections of 2006 and 2010 to assess how it can be understood that the effect of ethnic segregation on anti-immigrant voting varies, and how this can be theoretically interpreted. Our analyses on 50 Dutch cities demonstrate that ethnic segregation leads to PVV voting, and that this positive effect is stronger in cities with a more tolerant cultural atmosphere and lower levels of unemployment. This positive effect is at odds with ethnic threat theory, and our contextualization informed by the cultural and economic conditions of cities enables empirically distinguishing between contact theory and concentration theory. Whereas both predict a positive effect, only contact theory is corroborated by our results. 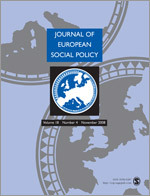 Analyzing the 2008 wave of the European Social Survey, this study assesses whether an elaborate institutional theory is able to explain why levels of welfare chauvinism differ among welfare regimes. As expected, native populations in liberal and conservative welfare regimes prove more reluctant to distributing welfare services to immigrants than those in social-democratic ones. Adding country-level data, it is demonstrated that neither differences in the selectivity nor differences in employment protection and unemployment levels can explain these varying levels of welfare chauvinism. Instead, regime differences in welfare chauvinism can be fully attributed to their differences in income inequality. This article assesses separately the push/pull-factor explanations in Sassen’s theory on migration from newly industrialising countries to cities in OECD countries. The push-factor explanation argues that foreign direct investments spawn migration flows to the country from which these investments stem. The pull-factor explanation revolves around demand for low-skilled workers in cities due to the clustering of advanced producer services. It is found that Dutch investment flows indeed function as a push factor for migration to Dutch cities, but that the local settlement of immigrants is not related to the clustering of advanced producer services. Next to their well-documented authoritarian cultural agenda, new-rightist populist parties have developed specific views on the welfare state: welfare chauvinism and welfare populism. 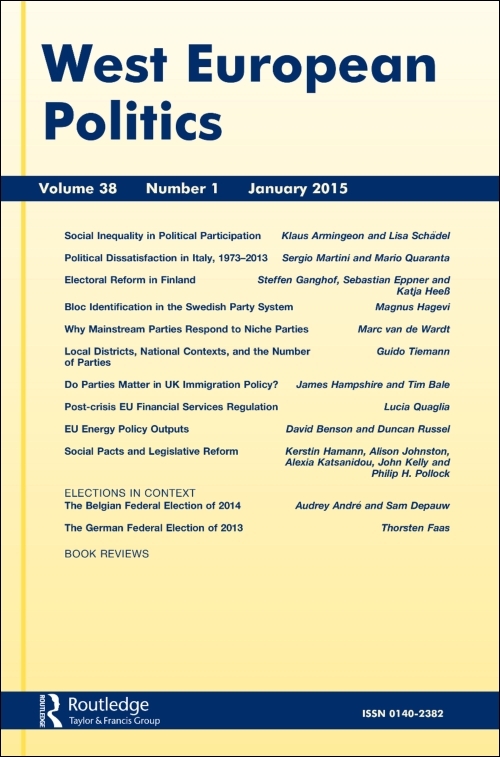 This article studies the electoral relevance of these views for Dutch new-rightist populist parties by means of survey data representative of the Dutch population (N = 1972). The electorate of those parties shows high levels of both welfare chauvinism and welfare populism. However, only welfare populism underlies support for new-rightist populist parties in addition to well-known cultural motives. Based on these findings, ideological and electoral competition between political parties is discussed, and suggestions for further research are provided. Studies on the substitution thesis in advanced economies show scattered results: the impact of immigration on the wages and likelihood of unemployment of the less educated varies strongly. 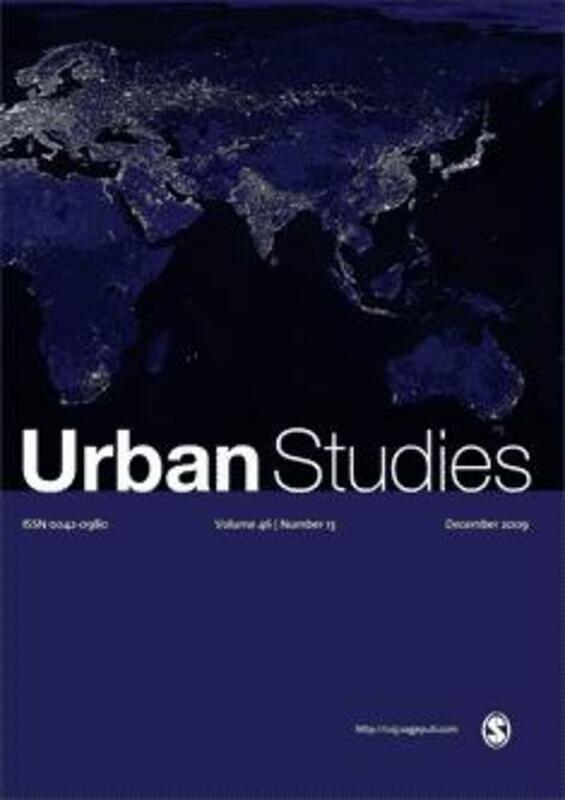 Both studies on the substitution thesis itself and studies on the unequal post-industrial development of urban economies, suggest that this is because the substitution thesis is conditional on the type of urban economy. The empirical validity of this suggestion is tested by comparing the impact of immigration on the employment level of the less educated among 22 Dutch metropolitan areas. The findings corroborate the central hypothesis: in strong service-oriented urban economies, the impact of immigration on unemployment levels is mitigated because of high labour demand for the less educated. 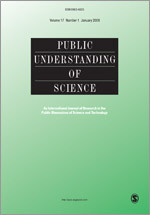 It is often assessed that the construction of nature, technology and the relation between both is in the midst of a restructuring without specifying exactly what different articulations can be distinguished and how they differ from the modern notion of nature being separated from and domesticated by technology. Through an analysis of car commercials, this study develops a typology of constellations of nature and technology. Besides the well-known modern dichotomy of nature versus technology, with the latter being superior to the former, three types of articulations were found: technology as a flexible and superior technological mimicry of nature; technological mastery as harmful to nature; and nature and technology as two holistically connected realms. Implications for theories about the changing nature of nature and the restructuring of the relationship between nature and technology are discussed. Secularization theory's two principal subtheses, the 'decline-of religion thesis' and the 'privatization thesis', have both become increasingly contested and recent research even suggests that these two aspects of secularization may develop in a remarkably uneven way. Loosely employed ideas is put forward by Achterberg et al. who point out that the decline of Christian religion in the West spawns its public revitalization rather than its further privatization. This chapter elaborates on this by assessing the empirical merits of two objections that suggest that these recent findings may after all not contradict the established notion that religious decline and religious privatization occur in tandem. The aim of the chapter is to study the relationship between the proportion of non-Christians and religion's public revitalization, religions like Islam, Hinduism, and Buddhism have been coded as missing. This article studies whether and why less educated natives are less ethnocentric in postindustrial Dutch cities than in industrial ones, as suggested by several theories in urban studies. A multilevel analysis of survey data collected among the native working populations (source: Cultural Change in the Netherlands Surveys 2004 and 2006) of 22 Dutch metropolitan agglomerations (sources: Statistics Netherlands Statline and Atlas of Municipalities) confirms that those concerned are indeed less ethnocentric in the most postindustrial cities. This pattern proves not to stem from the better opportunities at the bottom end of the labor market in these cities, as the ethnic competition theory suggests, but from the more tolerant cultural climate in these cities, as emphasized by Richard Florida in his work on creative cities. This article assesses the consequences of the transition to a post-industrial urban economy for labour demand and ethnocentrism in the 22 Dutch urban agglomerations. Using municipal-level data as well as surveys, it is shown that the labour market of the least post-industrial cities yields low labour demand for lower-educated urbanites (upgrading/professionalisation thesis), while the labour market of the most post-industrial cities yields high labour demand for lower-educated urbanites (polarisation thesis). It is furthermore found that lower-educated natives in the former are more ethnocentric than in the latter. However, contrary to what is often claimed in urban studies and the social sciences at large, this proves not to be driven by job scarcity in the least post-industrial cities. The article concludes with suggestions on what might be responsible for this finding. Various studies have demonstrated that while the lower educated support economic redistribution more than the higher educated do, they nonetheless dislike welfare support for immigrants more strongly. This paper aims to explain this remarkably particularistic application of the principle of economic egalitarianism (‘welfare chauvinism’) by testing three theories by means of survey data representative of the Dutch population (N = 1972). The first theory asserts that the low level of poli- tical competence of the lower educated is responsible, the second focuses on their weak economic position, and the third claims that their limited amount of cultural capital is decisive. Only the latter explanation is confirmed and implications for debates about ethnocentrism, deservingness and welfare state legitimacy, as well as the ideological profile of the lower-educated working class are discussed. 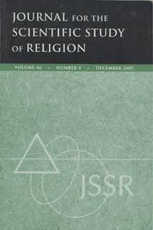 Analysis of International Social Survey Program (ISSP) data collected in 18 Western countries in 1998 demonstrates that Christian desires for a public role of religion are strongest in countries where Christian religiosity is numerically most marginal. Moreover, Dutch data covering the period 1970–1996 confirm that the decline of the number of Christians in the Netherlands has been coincided by a strengthening of the call for public religion among the remaining faithful and by increased polarization about this with the nonreligious. Religious decline and religious privatization, two of the most crucial dimensions of secularization (Casanova 1994), hence develop dialectically: as the number of Christians declines, the remaining faithful seem increasingly unwilling to accept the “secularist truce”—the secularist contract that guarantees religious freedom yet bans religion from the public sphere by relegating it to the private realm. In this article, an assessment is made of the consequences of globalisation for urban wage inequality. Using data on employers in the Dutch cities of Amsterdam and Rotterdam, it is shown that simply equating global city formation with globalisation, when it comes to urban wage inequality—which is the common research practice in urban studies—leads to a blind spot for the impact of international competition, falsely equates economic restructuring with globalisation and strongly overrates the impact of globalisation on the urban wage structure. Global city formation does not lead to polarising tendencies, while exposure to international competition leads to upgrading tendencies. The Rise of the Penal State: Neo-Liberalization or New Political Culture? Imprisonment rates are presumed to have risen in the West, and it is argued by certain social scientists that this can be explained by a comprehensive process of economic neo-liberalization. 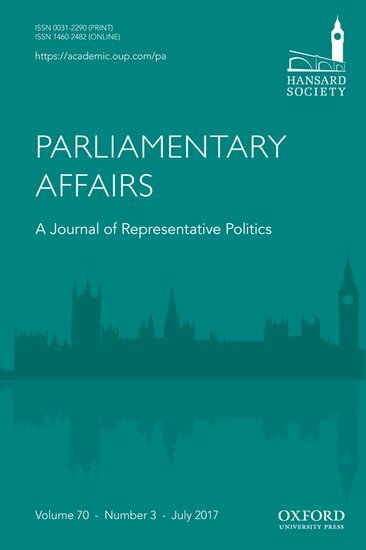 In this paper, we develop an alternative explanation, focusing on the rise of a ‘new political culture’. Longitudinal cross-national analyses are performed to test the tenability of these theories. First, it is demonstrated that some countries have been witnessing a trend of penalization, but that there is no overall trend. Second, economic explanations for variations in imprisonment rates prove to be untenable. Third, it is shown that a new-rightist demand for social order, which is not found to be inspired by economic neo-liberalization, provides a better explanation. This leads to the conclusion that high incarceration rates can be understood as being part of a right-authoritarian politico-cultural complex. 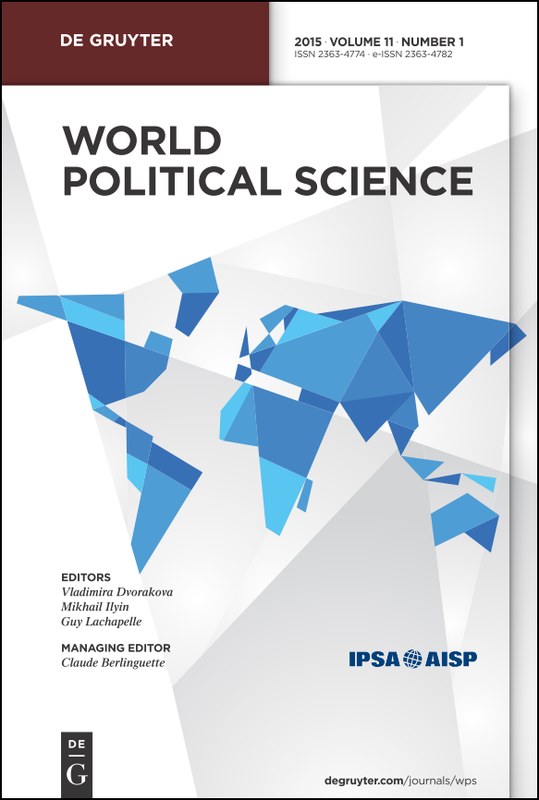 By means of a re-analysis of the most relevant data source  the International Social Mobility and Politics File  this paper criticizes the newly grown consensus in political sociology that class voting has declined since World War II. An increase in crosscutting cultural voting, rooted in educational differences, rather than a decline in class voting proves responsible for the decline of traditional class-party alignments. Moreover, income differences have not become less, but more consequential for voting behavior during this period. It is concluded that the new consensus has been built on quicksand. Class is not dead  it has been buried alive under the increasing weight of cultural voting, systematically misinterpreted as a decline in class voting, due to the widespread application of the so-called Alford index. By means of a reanalysis of the most relevant data source—the International Social Mobility and Politics File—this article criticizes the newly grown consen- sus in political sociology that class voting has declined since World War II. An increase in crosscutting cultural voting, rooted in educational differences rather than a decline in class voting, proves responsible for the decline of traditional class-party alignments. Moreover, income differences have not become less but more consequential for voting behavior during this period. It is concluded that the new consensus has been built on quicksand. Class is not dead—it has been buried alive under the increasing weight of cultural voting, systematically misinterpreted as a decline in class voting because of the widespread application of the so-called Alford index. 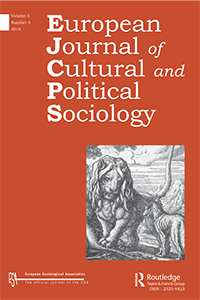 Drawing upon problems of interpretation in political sociological research, this article questions the common practice of lumping together moral traditionalism and authoritarianism. First, it is demonstrated that of the two only moral traditionalism relates to religious orthodoxy. Second, the well-established strong correlation between both value orientations proves to be caused, in the case at hand solely by the circumstance that nontraditionalism and nonauthoritarianism go hand in hand; moral traditionalism and authoritarianism are almost unrelated. Third, moral traditionalists are shown to vote for Christian right-wing parties, whereas authoritarianism more commonly leads to a vote for a secular right-wing party. Fourth, whereas moral traditionalism proves decisive for the voting behavior of Christians, it is authoritarianism that underlies the non-Christian vote. 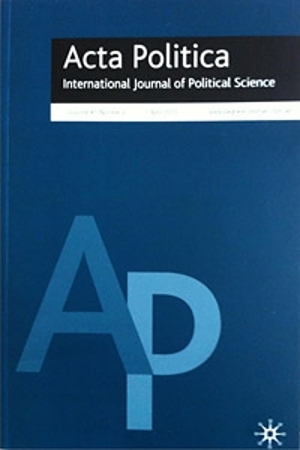 These findings from The Netherlands (consistent with theories on cultural modernization) lead to the conclusion that attention should be paid to the distinction between these orientations because this aids the interpretation of research findings, and because authoritarianism will probably gain a more central role in politics at the cost of moral traditionalism.